Have you subscribed yet to the Cedar Springs Post? If not, you are missing out on a chance to win some great prizes from local businesses! You, too, can win by subscribing to the Post for only $25 per year. 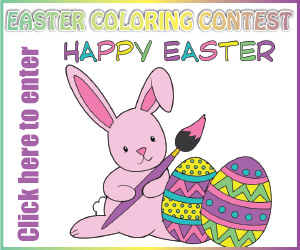 Fill out the entry form on this page and mail, or subscribe through our website (www.cedarspringspost.com) using Paypal. *Ronald and Pamela Stonehouse, of Spencer Township, won a Valentine gift bag from the Cedar Springs Public Library, filled with a brand new book and other goodies. *Ivan Nemecek, of Algoma Township, won a free hat and key chain from Tri County Body, in Sand Lake. Winners must pick up their prizes HERE at the Post within 30 days or the prize will be awarded to someone else. We are open from 9-5 Monday through Friday. Please call 696-3655 to make other arrangements. Thanks so much to the businesses partnering with us in this drive! If you are a business who would like to donate a prize, call us at 696-3655.